Research shows that around 100 people die every year due to electrocution in their workplaces and around 60 die every year after getting electrocuted from different power tools and cables etc. The point to bring this up to you is that our need is for people to realize that they need to educate one another about the safety precautions and ground rules that are supposed to be taken when working with electricity. Electricity can be very dangerous to deal with and honestly, a minor mistake or irresponsibility can cost you your life. For example, it’s pretty common among today’s young generation to sleep with their phones on a charge, plugged in with the power sockets. Some even put their phones on charge and then sleep with earphones in their ears. Now, to a lot of people this won’t be a big deal, but honestly, over the past few years, we have seen and heard of so many young teenagers die just because of their negligence. People need to realize that safety must not be compromised in any case and especially it would be great if the workplaces (that deal with electricity) start training their employees about how to deal and work with electricity and what precautionary measures are supposed to be taken to avoid injuries and deaths. Now, if you are someone who wants to educate himself and his family etc. on electrical safety, then you are at the right place, reading the right article. Today we are going to jot down some of the best and the major electrical safety measures everyone should take when working with electrical tools, cables, and other devices that have electricity included. So, folks, take notes of what we are about to tell you because this article can end up saving your life. Often we have seen people touching electrical cables and charges with wet hands. Like, it happens quite a lot that at one moment you are doing the dishes and suddenly you remember that you have to put your phone on charge and during that you just forget that drying your hands is important before reaching for the socket. Let’s admit the fact that yes, this happens a lot but honestly even this mistake can cost you your life. You never know if the cables aren’t covered properly or if there’s a little part broken and you touch it with your wet hands then yes an electric shock is expected for sure. So, the next time you deal with any electrical product, whether it’s your charger or the microwave oven, just make sure that your body is dry and especially your hands. As said earlier, our charger cables are often broken, and we don’t even find it necessary to fix it or get a new one. Now, this is again one big mistake, and the wiser thing to do is to never deal with frayed cords, broken plugs, and damaged insulations. 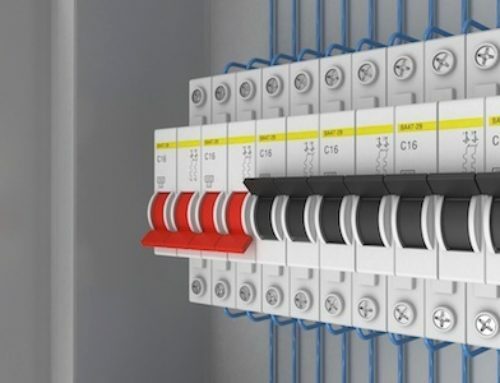 You never know if your hands are sweaty or wet and then when they touch the damaged insulations, you get an electric shock which can be worse if the cable you are dealing with his big. Never, we repeat, never make the mistake of leaving your mains on. We’ve heard of some terrible incidents just because people forgot to turn off their mains. Also, make sure that before plugging anything in the socket, turn it off first, then put the charger inside and then turn it on. This will guarantee your electrical safety. For those who work in electric workshops and other such factories, make sure to keep a pair of insulated rubber gloves with you all the time. Make sure that you are wearing one all the time when dealing with the electrical circuit or branch circuits. Never deal with anything at your workplace with bare hands. People usually use steel or aluminum ladders when they are fixing electrical equipment that’s on height, but this again is one big mistake because if you get even the slightest shock of electricity, the whole current will pass through your body and you might as well die. 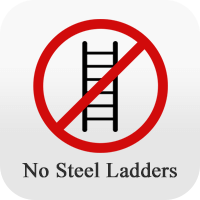 So, make sure that you are using a wooden ladder or any other insulated ladder that won’t let the current pass through it. These are some of the main precautionary measures everyone should take and know about. We hope this article was helpful for you, now do some good and teach others too about these precautions so that everyone around you stays safe.